A majority of Americans now own a smartphone, a fact that leads some to believe that marketers can now ignore feature phone users. I’m neither in that camp nor inclined to create mobile marketing and advertising programs that are exclusive. Taken together, 61 percent of cell owners said yes to at least one of these questions and are classified as smartphone owners. According to Pew, because 91 percent of the adult population now owns some kind of cell phone, that means that 56 percent of all American adults are now smartphone adopters. Further, 35 percent have some other kind of cell phone that is not a smartphone, and the remaining 9 percent of Americans do not own a cell phone at all (yeah, there are still a few out there). Since smartphone owners access the web in increasing numbers, you must have a mobile-optimized site. 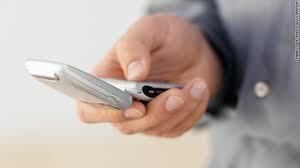 Another recent study said that more than 40 percent won’t return if a brand’s mobile presence is not optimized. And that trend is growing. Consumer expectations for mobile experiences with brands have increased dramatically. Mobile users want to be informed, entertained, enticed through rich media, and reached in personal and relevant ways. Mass offers like ones for flying trapeze lessons aren’t going to, ummm, fly. While the smartphone adoption numbers signal a significant milestone, more than 100 million still carry a feature phone. Many in that group have joined mobile loyalty clubs that primarily use messaging. Others are open to that proposition – repeated studies show that more than one third of mobile users are interested in being part of a brand’s mobile database. Brands like Coca Cola and Macy’s, plus thousands of small and medium-sized businesses, have driven sales, engagement, and loyalty through such inclusive programs. Macy’s has developed a differentiating in-store program called Backstage Pass that gives shoppers access to 30-second videos that provide fashion tips and a behind-the-scenes look at clothes from Bobbi Brown, Sean “Diddy” Combs, Tommy Hilfiger, Michael Kors, Greg Norman for Tasso Elba, Rachel Roy, Irina Shabayeva for I.N.C., and Martha Stewart. What is most significant about Backstage Pass is Macy’s inclusion of calls to action involving SMS, MMS, QR code, and the mobile Web. There is even a URL given for those few who aren’t carrying a mobile device with them. For Macy’s, it’s about inclusion and choice. After all, the retailer isn’t limiting shopping in its stores to those who drive red sedans. Why would it want to dictate mobile behavior? June 5, 2013 by Jeff Hasen.